Contradicting French news portal Mediapart's claims, Dassault Aviation said that it has freely chosen to make a partnership with India's Reliance Group as part of offsets in India. Hours after French news portal claimed that Dassault's joint venture with its Anil Ambani-led Reliance Group was a "counterpart", "imperative and mandatory" to win the contract for 36 fighter jets, Dassault Aviation said that it has freely chosen to make a partnership with India's Reliance Group as part of offsets in India. The aircraft-maker said partnerships have also been signed with other companies such as BTSL, DEFSYS, Kinetic, Mahindra, Maini, SAMTEL and negotiations are still going on with a hundred-odd other potential partners to comply with Indian offset regulations under Defence Procurement Procedure. Dassault Aviation has committed to offsets in India worth 50 per cent of the value of the purchase. 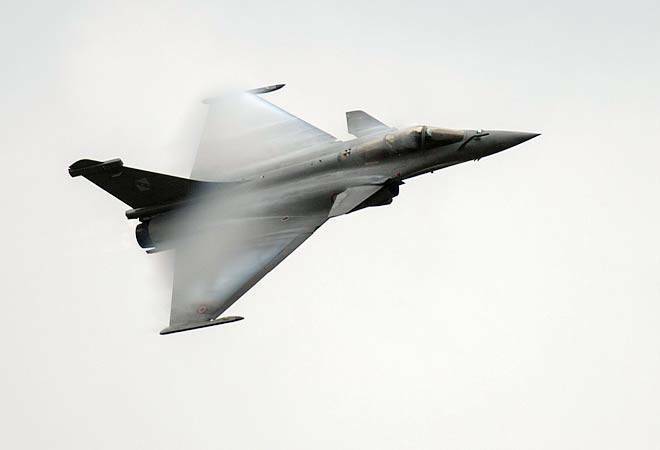 The row over the Rafale deal intensified with French news website Mediapart yesterday adding more fuel to the fire. The portal has claimed access to an "internal Dassault document" dated May 11, 2017, where a "senior member" of the aviation group explained to staff representatives that the joint venture with its Indian partner, Anil Ambani's defence firm, was a "counterpart", "imperative and mandatory" to win the contract for 36 fighter jets. The portal identified the executive in question as Loik Segalen, the Chief Operating Officer (COO) of Dassault Aviation SA. The joint venture he referred to is Dassault Reliance Aerospace Limited (DRAL), a company where Ambani's Reliance Aerostructure holds a 51% stake while the French company owns the rest. This revelation comes three weeks after Hollande's explosive interview to Mediapart that his government had not been given any choice in selecting a local partner for Dassault Aviation to fulfil offset obligations of the deal. "We had no choice, we took the interlocutor who was given to us," he was quoted saying, basically suggesting that it was all done at the behest of New Delhi. The deal was signed during his term. Although the Modi government has consistently maintained that it was not officially aware of whom Dassault Aviation had selected as the Indian partner, opposition parties have gone to town alleging corruption and "crony capitalism". They have accused the Centre of putting pressure on Paris to discharge offset obligations worth 50% of the value of the contract, or Euro 3.9 billion, through DRAL. With the Congress hoping to make this controversial deal a major electoral issue ahead of assembly elections in some key states later this year and the general elections in 2019, the party has of late stepped up its attacks and allegations on this front. Yesterday, the Supreme Court asked the Centre to "apprise the court of the decision making process followed" in finalising the Rafale deal.